The Saskatchewan Trappers Association (STA)marked their 50th anniversary March 15-17 with their annual general meeting and convention, and it was an event that provided cause for reflection, but also renewed focus on the future. It’s been a hectic year for the STA, who have reorganized and restructured under the leadership of president Wrangler Hamm and his very active board. If the AGM was any indication it seems there are bright days ahead for the association despite all the challenges. The FIC was involved in the event on a number of levels, starting with delivering an afternoon of interactive media training program for STA members on March 14. The training provided a wonderful opportunity for the group to engage on issues facing trappers and the wild fur trade in Saskatchewan, and how to best convey the positive messages coming out of the work that trappers do to the public. This is the second group to receive the training following on the heels of the OFMF in August 2018; the program is available to all trapping associations free of charge and provides participants with an opportunity to learn how to best present their story to the media and the public. Trappers have a wonderful story to tell: the program helps them do it. In addition to the highly successful media training, FIC also had the opportunity to meet many members of the association and discuss issues around trap testing development and wild fur as a whole. Trap Testing Coordinator Pierre Canac-Marquis was also in attendance, and he did a presentation on handling beaver, and also presented to the group about the TRDC program and the ongoing work being done to support sustainable, natural fur harvesting in Saskatchewan and across Canada. It was also an opportunity for him to thank the many Saskatchewan trappers and stakeholders who have contributed so greatly to the program recently and over the past number of years. After a challenging year it seems the STA is on solid footing and poised to have a very strong future. 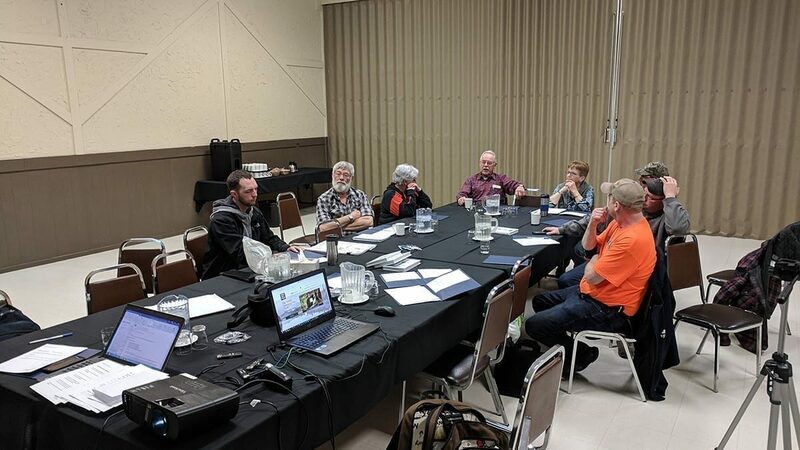 The FIC would like to thank the Saskatchewan Trapper’s Association and the incredible community in Humboldt for their wonderful prairie hospitality and a very successful 2019 AGM!